The other day at Sprouts, a local grocery store, a woman saw me selecting baby eggplant. She asked, "Do you like those?" "Oh, I adore them," I said. "They're much sweeter and more tender than large eggplants." "How do you cook them?" she asked. "Lots of ways," I replied. "You can saute them, stuff them, broil them." She screwed up her mouth, looked perplexed. "Mmmm... I don't know," she mumbled. I scanned her shopping cart and noticed she had a bag full of baby eggplants in it. I said, "Well, you must like them too." "Me? No, I don't really like eggplant," she said. "I only bought these cause they're just too cute to pass up." Blame it on the cute factor — you know, when you buy something not because you love or need it but because it's too cute to pass up. We continued talking, and I gave her several suggestions of how to cook baby eggplant. She seemed relieved. 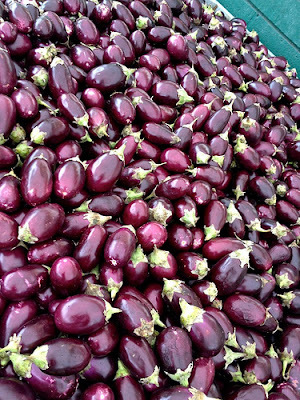 In fact, baby eggplant are quite versatile: They can be grilled, broiled, sauteed or baked and pair well with Asian, Indian, and Mediterranean flavors. 1. Make eggplant chips: Slice paper-thin, toss in olive oil and salt and bake at 350 for 15 to 20 minutes, turning once, until crisp. 2. Broil 'em: Thinly slice, brush with olive oil and broil until browned. Douse with fresh lemon juice, salt and pepper and sprinkle with finely chopped fresh mint or basil. 3. Stuff 'em: Cut off the tops and scoop out the flesh. Saute flesh with olive oil and shallots and transfer to a bowl. Add some bread crumbs, Parmesan cheese, parsley, egg, salt and crushed red pepper. Mix together and stuff eggplants. Bake at 350 for 20 to 25 minutes, or until tender. 4. Glaze 'em: Thinly slice and broil or grill until tender and brown. Drizzle with a warm balsamic-honey reduction and sprinkle with chopped fresh rosemary. 5. Saute 'em: Saute thin slices in olive oil until browned and tender. Toss with goat cheese, lemon zest, lemon juice, extra virgin olive oil, and mint. 6. Pickle 'em: Pickled eggplant is a unique addition to an antipasto platter. 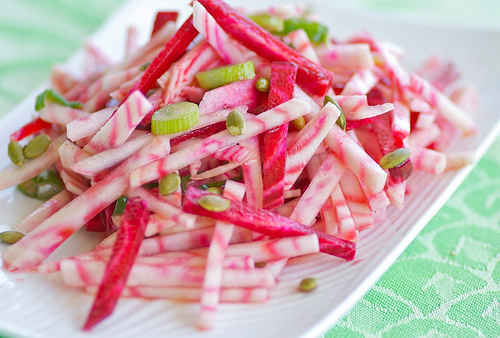 Check out these pickled eggplant recipes from Punk Domestics. 7. Grill 'em: Slice slightly thicker and brush with olive oil. Grill for 4 to 5 minutes per side, or until lightly charred. 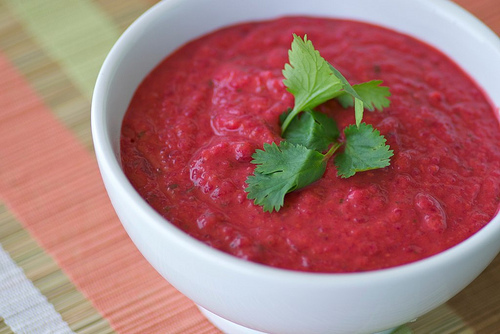 Serve with Romesco sauce or drizzle with a balsamic reduction. 8. Curry 'em: Cut into chunks and saute in olive oil with diced onions and chilies. Add Indian curry powder or other spices such as garam masala and turmeric. Add coconut milk and a thickening agent such as cornstarch, and cook until sauce is thickened. 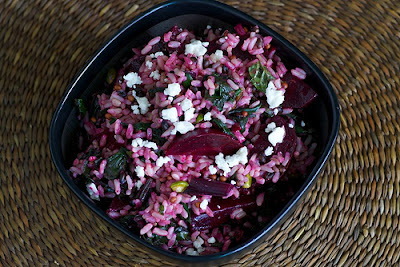 Serve over basmati or jasmine rice. 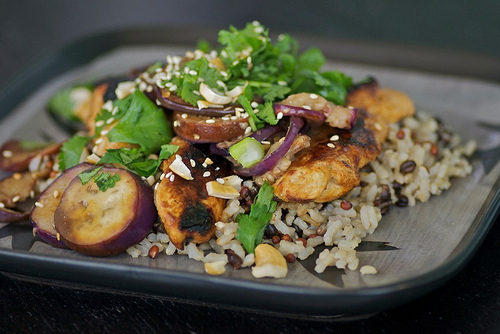 Or make the Asian Chicken and Baby Eggplant recipe below. How about you? How do you cook with baby eggplants? The little boy you see here is Cody Braisch, the nephew of fellow food blogger and personal friend, Stephanie Weaver. Since last July, Cody has been battling a rare type of cancer called neuroblastoma and was until recently in remission. 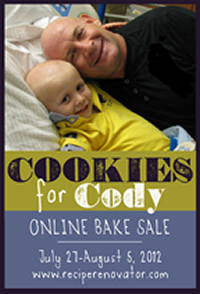 About a month ago, Stephanie asked me to participate in an online baking fundraiser called "Cookies for Cody" to raise money for Cody's cancer treatments. Then, sadly, this past Sunday, Stephanie said Cody was no longer in remission. There are no more treatment options for him. Although the tone of the fundraiser has changed, it is still going to happen, as Cody's parents have incurred over $15,000 worth of medical bills. Today, I'm asking you to help Cody's parents by bidding in Stephanie's online auction. It begins today and lasts through August 5th. Click here for full details. Over 50 bloggers and bakers (including me) have volunteered to bake traditional, vegan, and gluten-free cookies to donate to bidders. There are also about 50 signed cookbooks and other culinary gift items available for auction. All proceeds will go to Cody's family. You can also donate directly to the family at codybrasich.com. Please include "Cookies for Cody" so Stephanie can track donations. Thank you for your consideration. Please keep Cody and his family in your thoughts and prayers. 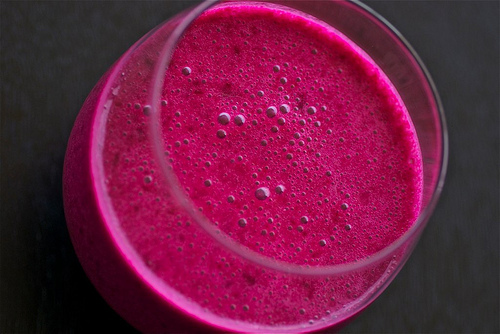 In my latest NPR piece, "Making the Case for Beets," I explore the deep-seated antipathy towards beets. People have said they taste like, metal, dirt, even smelly socks. That's some hard-core beet hate. The piece has caused a lot of beet buzz with many comments both praising and bashing beets. I'd love to know where you stand. 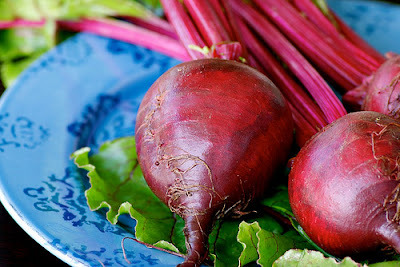 Do you love beets? Hate them? Let us know, either here in the comment section or over at NPR's comment section. 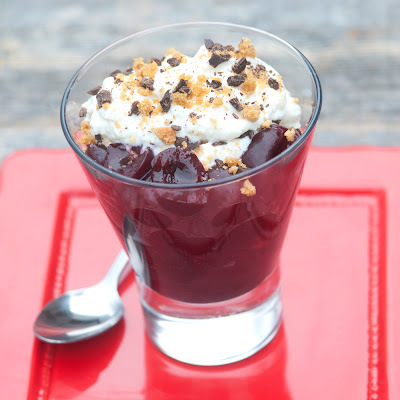 And don't forget to check out the four recipes I've included. 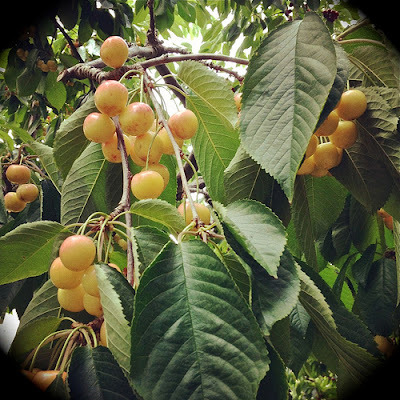 Up until last week, the closest I had ever gotten to a cherry orchard was reading Anton Chekhov's masterpiece, The Cherry Orchard. And if you're familiar with that play, you know it doesn't end happily for the family or the cherry trees. 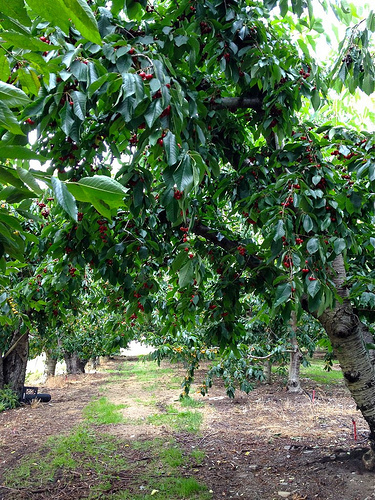 Thankfully, life is much happier in the state of Washington, especially the Leavenworth region, where scores of cherry orchards heavy with fruit line the highways. A fully fruited cherry tree is gorgeous — the clusters of cherries are dramatically suspended from branches, like firework starbursts. Despite having eaten over three pounds of cherries in three days while we were in Washington, we're still craving them. So last night I made Smashed Cherries, Amaretti and Ricotta, a delightful, no-cook summer dessert from Cheryl Sterman-Rule's new cookbook, Ripe: A Colorful Approach to Fruits and Vegetables. I had tested this recipe for Cheryl last year and have made it numerous times since. No doubt, you will too. If you'd like to learn more about Cheryl's book, then please see my full review at One For The Table, which also includes a tasty recipe for Radish and Olive Crostini.